AT&T MVNO Black Wireless is running a couple of promotions that give new users a free month of service. The first deal is for users porting a number to Black Wireless and makes the first month of service free. To take advantage of this offer, choose any Black Wireless monthly plan. Black Wireless will send you a free SIM with free shipping. When the SIM arrives, insert it in your phone and visit blackwireless.com and click the ACTIVATE link. You must choose to port in when you activate to get your first month free. If you don't have a number to port, you can use the Black Wireless' "Buy 2 Months, Get 1 Month Free" offer. Go to https://www.blackwireless.com/FreeMonthPlans.aspx and choose any monthly plan and pay for two months. Shipping is free and when you activate the SIM you get three months of service for the price of two. Black Wireless is a reseller of Locus Communications (aka H2O Wireless) service. Plans (listed below) and pricing are identical to H2O's and users report the same un-advertised throttling on the $50 and $60 plans as with H2O. 2 Users report that the $50 2 GB plan is throttled after 1 GB and the $60 "unlimited" plan is throttled at 3.5 GB. Throttled speed is approximately 128 Kbps. Both free month promotions have ended. As a Google Voice user, could I just port the number from my current SIM card that I never use to take advantage of this offer? As long as the current number isn't a Black Wireless number I don't see why not. 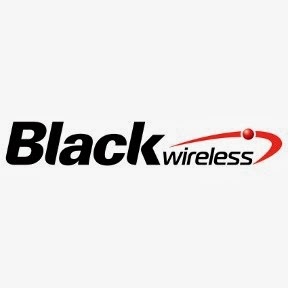 The website for black wireless is down says not authorized to view page. Try it again. The Black Wireless site is working for me right now using Chrome for Android. If you're interested in signing up for Black Wireless, I think it'd be a good idea to read the whole thread Dennis linked to above under "users report the same un-advertised throttling". @Dennis, when you get the time one day could you do a breakdown of the MVNO's and prepaid carriers that offer LTE? I've been adding LTE support to the "[Carrier] and [carrier] MVNOs Compared" series of posts. I'm on the buy 2 get 1 mos free. On the 1gb plan and have 400 mb left and still getting hspa+ speed of about 3000 down. However I will port out to the next best deal after my 3rd month. When will the promo end? The promo code is "FEB2014". Maybe the promo ends at the end of the month. On the web chat, a Black Wireless CSR mentioned that they have not set an end date for activation for those SIM cards bought under the FEB2014 promotion. Those SIMs are tagged in their database with activation credit equal to one month's recharge value based on the chosen plan, so you need to activate the correct one if you have purchased multiple with different sizes and plans. As of yesterday, 03/27, the activation went well with the free month, but this may stop any day at their discretion. Porting your number in is a requirement for this offer. I'll try one more in late April or early May, and update what happens. How do they get to call Unlimited data throttled after 2GB and shut down @ 3GB. Some truth in advertising please!! Here is the prob I ordered 60 dollar plan received 40 dollar said oops we cant fixed have to wait next month. they can fix this call 888-383-1471.
also they have a different promo for march. buy 1 month, get 1 month free. Use promo code 11215 to get $5 discount. Never expiring. Spread the word. It's $5 off the first month's service. The two months for the price of one deals are better. I wonder if the promo code be combined with the Buy 2 Months, Get 1 Month Free offer? Get $5 OFF plus FREE SIM and FREE SHIPPING! Use coupon code 11215 during check out.